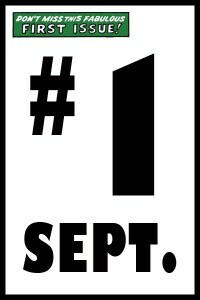 September 2011 is seeing an unprecedented number of first issues shipping to comic book shops around the world and available digitally. DC Comics’ “New 52” is leading the way with a line-wide relaunch featuring a dozen or more new titles each week, but these aren’t the only new series starting this month and here we take a look at some of September’s “other” #1s. We continue our look at September’s “other” number one issues (i.e. books that aren’t part of DC Comics’ “New 52”) with the debut of Dark Horse Comics’ Buffy the Vampire Slayer Season Nine. The series continues the highly successful transition of Joss Whedon’s television series to comics and it’s arguably everything you’d want and expect.